1. ShowBox: A great app for streaming Movies and TV shows. You can even download the movies and tv shows free which is far better than when compared to paid ones like Netflix. Show box App has been made with great conscience putting user engagement in front. Users who download the Showbox for Android can feel free to install and start using it. There are no up and down payments to be made, not much annoying ads or any restrictions to watch. 2. CartoonHD: Cartoon HD is a great alternative to Showbox. The Cartoon HD app lets you stream HD movies and TV shows. You can sort by IMDb, popular, name, updates, year, and genres. You can browse by collections, Top 250 IMDb, 3D Movies, The Marvel Universe, and more. You can save videos to favorites. You can also download videos. 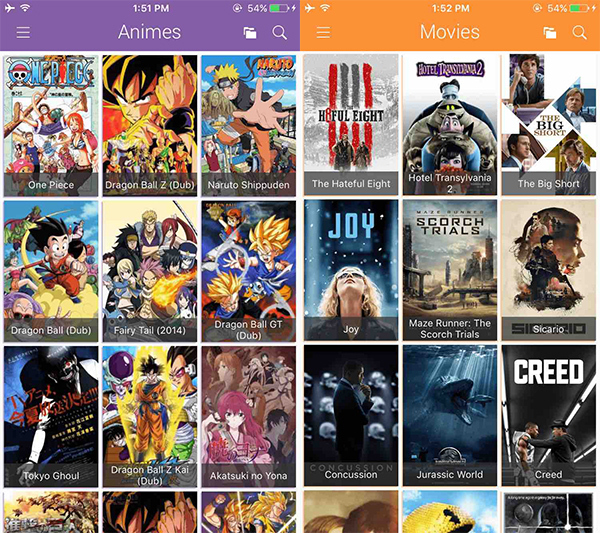 3.Cinema Box: The Cinema Box app was created by the same developers as PlayBox HD and allows you to stream and download free HD movies and TV shows on your Android or iOS device. Use the Cinema Box .APK file to install the app to any Android or Android-based device (like the Amazon Fire TV Stick, BlackBerry, Android TV Box, and more).